Please watch this pulsating video that tells you that the sari and the woman it clothes are resilient, tensile, indestructible and eternal. Please hear the poem to its end. Young women fill us with an overwhelming pride. Here is an example. Some of my random ramblings. I shop a lot (like really a lot) online. In fact, malls, exhibitions, crowds, etc. now baffle me and I seem lost there. I am more at home shopping online. The sellers that dissuade me are the ones that state "DM for price/ WhatsApp for the price". I trust and like the sellers that display the price tag transparently. Why do people hide the price and want each buyer to contact them? They are increasing their own labour. Are they giving a different price to different buyer and bargaining? Me, as a buyer am intimidated. I might be wanting to know the price of 10 different products from the same buyer and buy probably one or maybe none. Then the second time, I will be shy of asking. The third time I will definitely not ask even if I really wanted to buy. You see my point? You know in Germany, there is a clear rule to display the price of each article clearly even in a display window. Unlike, in India, where, the price tag is hidden deep inside a dress/jacket/shirt and one has to embarrassingly fiddle and find it and stare hard to read it. Display your price sellers. It is easier for you and for the buyers. It makes you more trustworthy and transparent. Another rambling on my Instagram, I am not following top notch, widely followed Instagrammers. In fact, most of the top ones, do not interest me so much. They are arrogant, seldom reply or interact and somehow post quite boring stuff. I follow the ones I really connect to and the ones that interest me. 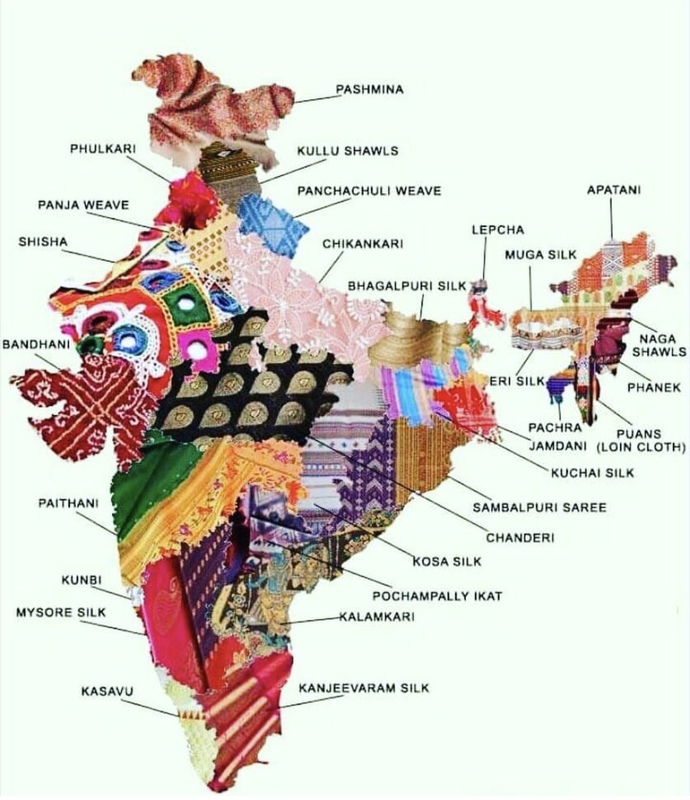 Most of them are extremely simple saree Instagrammers (that is my interest currently). The simpler, they are, the more interested I am. Heavy makeup Instagrammers/people/addicts, put me off. I like the 'girl next door' look. That is the look I can relate to. I am not a makeup junkie. I have a decent collection of makeup that is useful and I am happy with it. I will finish products completely before buying another. I am certainly not the types to have 100 shades of nudes and 50 shades of red lipsticks. For me, that is a big waste of money. I can say that I am more of a saree addict and a hoarder. Handwoven sarees tug at my heart. I do not care about big brands (anymore. I have had my tryst with them. Seen it all, done it all.) The difference today is between shopping at big brands from factories with unregulated labour policies or buying from homegrown/ weaver and supporting our own culture. It is pure magic to wear rich silk or crisp cotton painstakingly handwoven by one weaver cluster or the other across my motherland India. It is a sheer joy, to pick colours, plan blouses with interest and treasure your handlooms. The finer the weave, the better. I feel blessed to be born in a country where I am able to enjoy a vast variety of weaves. Our silk is rightly known as the Golden fibre, the pride of women, woven to retain its lustre and last longer than kings and emperors.